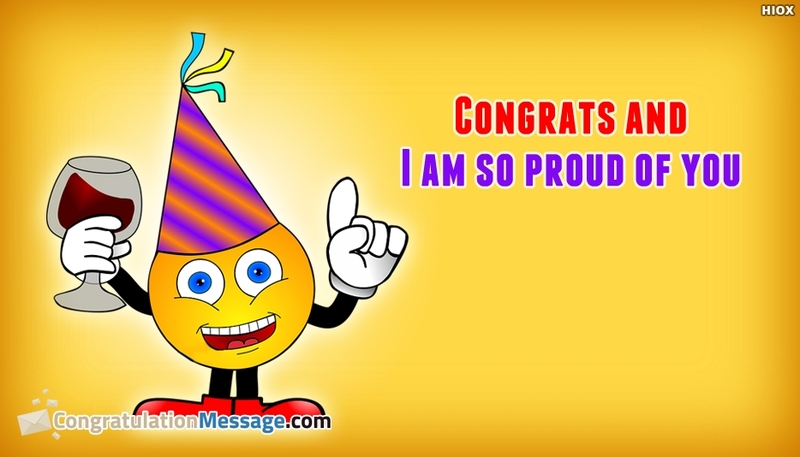 Congratulations greeting card for achievement, a job well done, for a hard work, success or victory with a message "Congrats and I Am So Proud Of You". Wish someone you know all the happiness in the world for their hard work and achievement with this fun smiley congratulations card. Double the happiness of the person through this ecard.